Installing a rubber adhesive dam will prevent water leaking while still allowing the user easy entry and accessibility into the shower, regardless of whether or not you require a wheelchair. 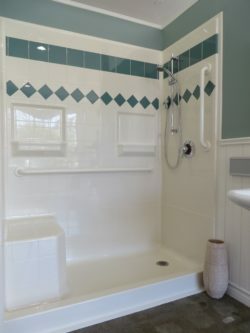 The water stopper also functions to maintain the a heavy shower curtain in place. 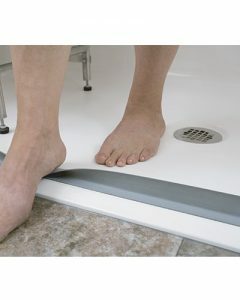 Installation of a rubber adhesive dam that allows for easy step in or wheelchair accessibility into the shower. 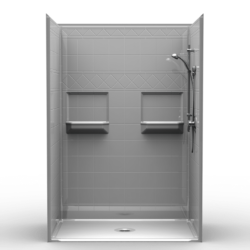 Easy to install the water stopper prevents from water coming out of the shower pan and also maintains a heavy weighted shower curtain in place. For questions and additional information, please contact us at +1-855-566-6722.